April 01, 2012 10:04 UTC - Happy April Fools' Day! The item database has been updated to 18.4.14! October 12, 2011 08:24 UTC - 18.4.5 Half a year later, the item database has been updated to version 18.4.5. May 05, 2011 09:13 UTC - 18.3.1 DB was finally updated to version 18.3.1 a few days ago, I'll update to 18.4 "soon". August 18, 2009 10:21 UTC - 18.1.3 DB has been updated to 18.1.3 and all the items should be available on equipment configurator too. Including Xan symbiants. The new equipment configurator also allows you to specify a custom item if I don't seem to update often enough. Xan symbiants (and spirits!) are also available in the symbiant listing tool, click! I updated the item database to version 18.0 a few days ago. Equipment config will also be updated soon to the new version. P.S. I also found the source code for my ADBD database dumper, it's now available at http://auno.org/dev/adbd. Since there's been nothing of interest happening in AO lately I decided to post news about something else to make this site look less dead ;). 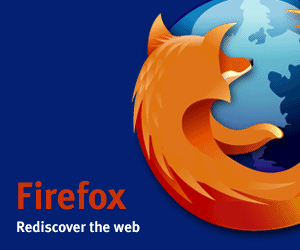 And the news is, Firefox 1.0 has been released! Around 88% of auno.org visitors still use Internet Explorer.. but you really should switch to Firefox, reasons for that are numerous, see the Firefox web page for details. Update! (Dec/13): If you are running Firefox you can add Auno.org as a search engine for it (along with Google and the others that are available by default). To install the Auno.org - search plugin, click here. September 01, 2004 11:19 UTC - Alien Invasion - Version 15.6.1 Hello! I've just patched the website to the current Alien Invasion version, patch 15.6.1. There's quite a few new and updated items ;) I also updated the layout a little, it has some bugs and has only been tested with Mozilla Firefox so you might run into some bugs with Internet Explorer. I'll try to resolve these issues as soon as I can. Update: The XML dumps of 15.6.1 are now available. Update: The servers opened some hours ago and the load on the webserver has eased a little, so everything is running on the main server again. Also I would like to note that the version I patched was indeed the 'real' 15.6.1, not a patch from the beta servers. I've set up a link over here for the simple damage dumper program I created for AO a month or so back. Check the link on the menu at left for download URL and instructions on how to use the thing. I have also finally updated the XML dumps of AO database to the current version, 15.5.4. Other than that, I haven't really been playing AO much lately, as it's summer over here, and it feels that I've beat the game for now. Maybe the Alien Invasion expansion pack this autumn will introduce some new and interesting stuff that will make the game interesting again.